Available in a five-passenger wagon or a two-passenger cargo van, the RAM ProMaster City is designed with versatility and usability in mind. Each body style offers two trim levels, base and SLT for the Wagon, and Tradesman and Tradesman SLT for the Cargo van. The ProMaster City boasts an impressive 29-mpg highway fuel economy with its 178-horsepower 2.4-liter Tigershark MultiAir 2 engine paired with nine speed automatic transmission, so there are fewer stops at the pumps. 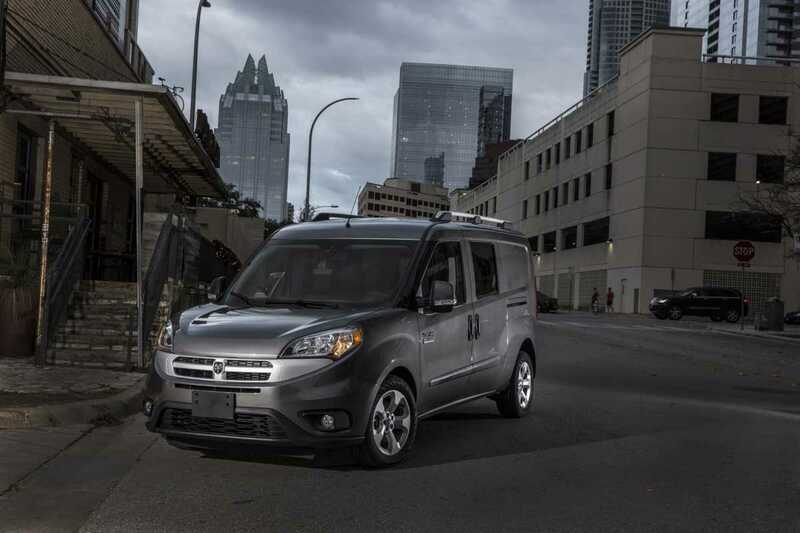 With a Best-In-Class payload rating of 1,885 pounds and Best-in-Class cargo capacity of 131.7 cubic feet, the RAM ProMaster cargo van leads its class. The uninterrupted rear cargo floor and vertical side panels provide lots of room to upfit your van for your business needs. 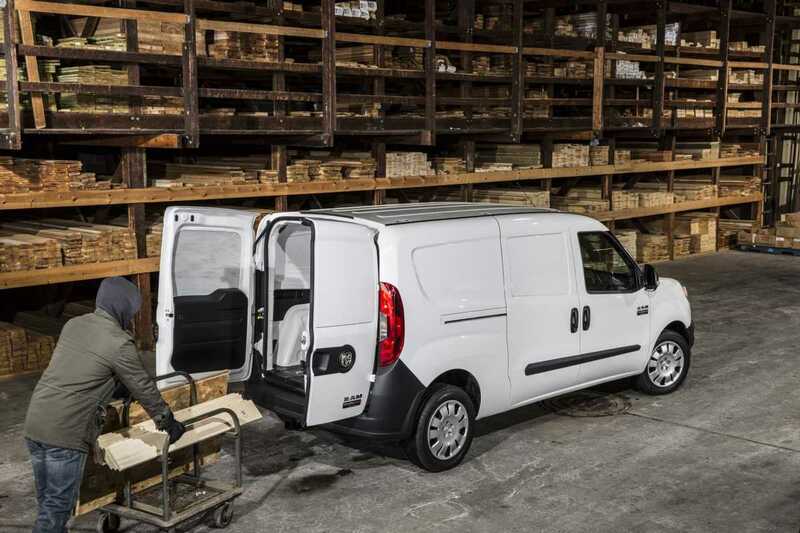 For those larger cargo items, the Tradesman model can even accommodate pallets on the floor of your van, thanks to Best-in-Class wheel-to-wheel cargo width of 48.4 inches. Loading your RAM ProMaster City is a cinch thanks to it low step-in height of 21.5 inches and rear 60/40 split doors that lock open at 90° and can swing open to a maximum of 180° using the release button. Great prices on every vehicle! Special discounts on service & parts! Refer a friend and get up to $200! The RAM ProMaster City passenger van was designed to transport passengers safely and in comfort, while the cargo van was designed to carry an impressive amount of cargo safely, securely and conveniently. Inside the cabin of the ProMaster City you will find increased visibility with its large windshield, and plenty of storage including an overhead shelf system, oversized glove box, storage trays and in-dash storage. The available Uconnect System features a 5-inch full color Uconnect Touchscreen with Voice Commands and Bluetooth, so you can stay connected while keeping your eyes safely on the road ahead. Near-vertical walls, minimal trim and a flat floor make it easy to Upfit your van with an infinite amount of configurations. Designed with a reinforced body structure and equipped with an impressive array of active and passive safety and security systems. Standard safety equipment on the 2019 Ram ProMaster City includes anti-lock brakes, traction and stability control, front-seat side airbags, side curtain airbags, a driver knee airbag, hill-start assist, trailer sway control and rollover mitigation. Additional available features include a rearview camera and rear parking sensors.